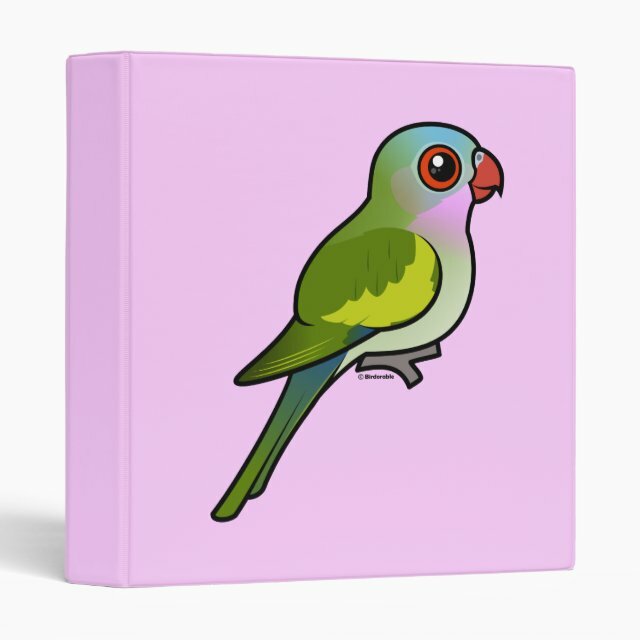 Birdorable Princess Parrot Avery Signature Binder 8.5x11"
The Princess Parrot is a colorful species of parrot native to Australia. The species is named for the Princess Alexandra of Denmark who was later Queen of England. The bird is known by other names, including Alexandra's Parakeet and Spinifex Parrot. The plumage is mostly light green, with a pink throat and blue-tinted crown and rump. This is our totally cute Birdorable version of the Princess Parrot! You can customize this gift! Move the parrot around, change the background color or style, add text or images -- make it your own!